"Jack, Joanne and her daughter Ellie are here" Mrs. Gilinsky said. A tall boy about my age walked down the stairs, he had brunette hair an brown eyes. 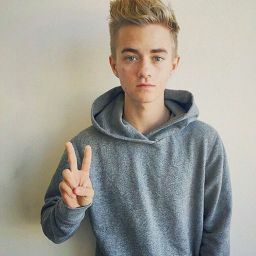 "Hi Ellie and Joanne I&apos;m Jack gilinsky"jack g said. He had gorgeous big brown eyes. "Well Ellie my friends jack and sammy are upstairs wanna come"he said. I nooded my head and followed him to his room. "Hey guys this is Ellie and Ellie this is Jack Johnson and Sammy"he said pointing to the guys. "Well gilinsky you didn&apos;t tell me your neighbor was hawt"Sammy said. He just looked at me an smiled. "So uhh where you from"jack j asked. "Well I&apos;m originally from California but I moved to Texas when I was 15 and moved to Omaha just this last Monday"I said. "Awesome so how old at you exactly" sammy asked "I&apos;m turning 17 in November"I said. "Cool gilinsky is turning 17 in September"Jack j said. "Yah tats great an you&apos;ll be 18 in 2014 correct"I said. "yes mam" gilinsky said. "Let&apos;s play truth or dare"Sammy said. We all agreed and joined Sammy in a circle. "Ellie truth or dare"Johnson asked. "Uh dare"I said. "I dare you to kiss gilinsky with tongue in the bathroom"Johnson said. I noded and smile as we walked to the bathroom. We started kissing an then jack added tongue. It was honestly the best kiss I&apos;ve ever had I felt something there. "Uh Ellie so um that kiss was nice but uh IdK if it would be very man like if I asked you to be my girlfriend and hardly know you,so can we just take things slow"gilinsky said. I nooded and we player til dinner was served. 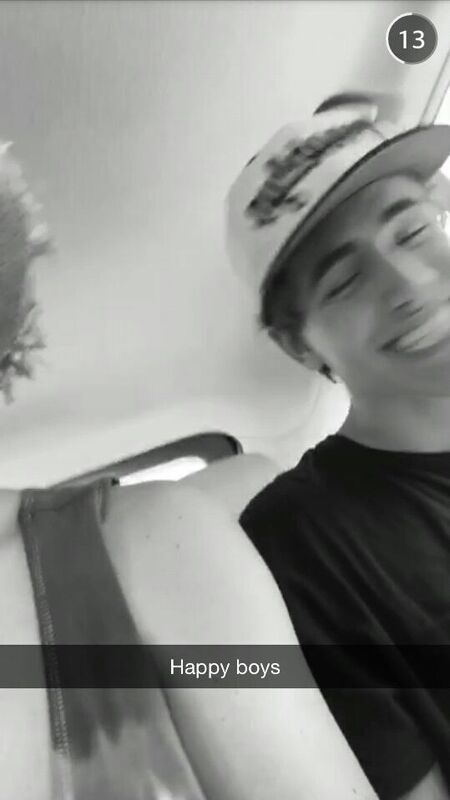 Gilinsky an I have been taking it slow. We&apos;ve been hanging out getting to know each other and chilling. He is super sweet and under stands I don&apos;t want to rush into a relationship. But I think im ready to have a offical relationship. "Hey ell can you come here something is written on my mirror an idk who wrote it"gilinsky said. I was currently at his house. "Yah Jack I&apos;m coming"I said. I walked into the bathroom and saw what it said and almost started balling. I turned and faced him. "I wanted to know if you would do the honor of be my girlfriend"he said. "Of course gilinsky"I said. We hugged and I knew Jack was the one.